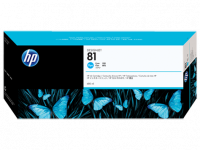 Designed for HP Designjet 5500, 5500ps, 5000 and 5000ps printers. Six dye-based ink colors produce superior photo quality with smooth color transitions and wide color gamuts. HP-engineered to work as a modular ink system with HP 81 Dye Printheads. High-capacity 680 ml ink cartridges. 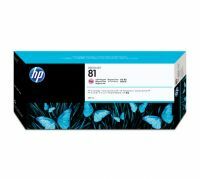 To Recieve updates and possible rewards for Hewlett Packard (HP) HP 81 680-ml Black Dye Ink Cartridge please sign in. To Recieve updates and possible rewards for Printer Cartridge, Ink & Toner please sign in.